Its off-white/creamy and no airline had it before they came in, but it really shines brightly on nice sunny day! BTW, those engines don't seem to have the exhaust cone *missing* making them seem like the RR RB211s installed on the classic 747s! The Comptroller and Auditor General (CAG) has sought the civil aviation ministry's response on why state-run carrier Air India sold five Boeing 777s at a loss to Etihad in 2013, during the tenure of the previous United Progressive Alliance government. "The CAG's query addresses two aspects - one is of selling the aircraft only after six years of operations, when they were meant to fly 25 years, and the second is on selling it at much lower that its cost price," said a civil aviation ministry official, who did not want to be identified. The initial query is part of the CAG's inquiry procedure. Etihad's purchase of five Boeing 777-200s from Air India for $350 million had been raised in media reports at the time and cited by former comptroller and auditor general Vinod Rai in his 2014 book 'Not Just an Accountant'. "Why did we make purchases and within five years of the delivery of the aircraft, sell them at roughly 427 crore each to Etihad Airways after having purchased them in 2005 for 1,300 crore per aircraft?" Rai said in his book. 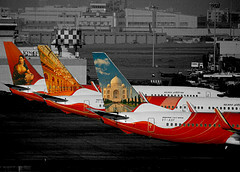 Other sources told ET that Air India sold each plane at an estimated loss of more than 500 crore on the purchase price. Air India had said that the long-range planes were not fuel efficient and that it was losing money on its overseas flights, including to the US and Japan. Airline executives said it lost 1 crore per flight to the US. It lost money on flights to Japan even with a load of 80%. These aircraft are not much in demand and there are just a little over 60 of them in operations globally, they said. The plan had been to sell eight of the planes - the carrier is still trying to find buyers for three of them. Air India sold its five Boeing planes to Etihad Airways at a "significantly" lower cost than the "indicative" market price of the aircraft, CAG said in a report tabled in Parliament today. 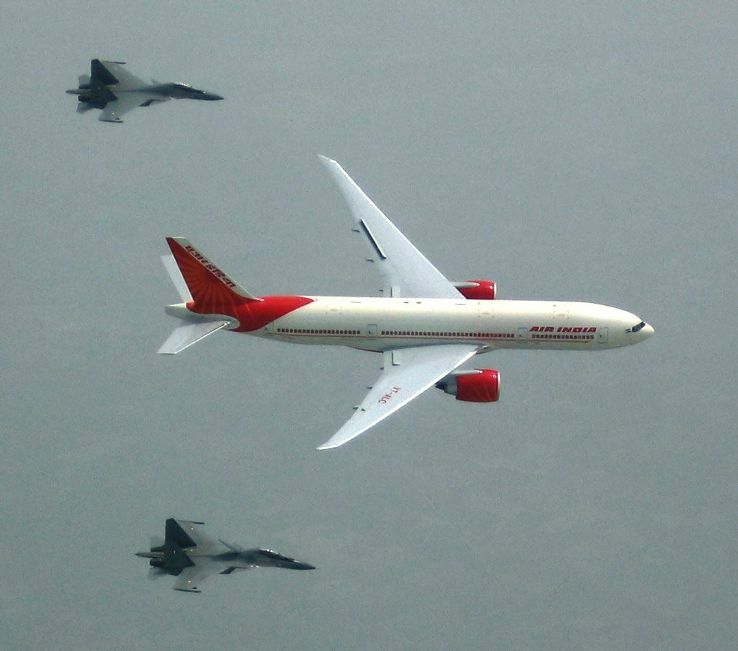 The government-owned Air India sold these five Boeing 777-200 LR planes to the Gulf carrier Etihad for USD 336.5 million (USD 67.3 million per plane) in 2013 against USD 86-92 million per aircraft obtained from two parties --M/s AVITAS and ASCENT, the Comptroller and Auditor General (CAG) observed in its report Turnaround Plan and Financial Restructuring plan of Air India Ltd (AIL). In its latest report on the airline, the CAG also observed that AIL incurred a book loss of Rs 671.07 crore on the sale of these planes and payment of Rs 324.67 crore towards interest on loans availed for procurement of these aircraft. The aircraft were delivered to Etihad Airways during the period from January 2014 to April 2014. According to the CAG, two parties --Etihad Airways of UAE and German Aviation Capital, Frankfurt -- responded to open tender floated by Air India in May 2013. "The offer of Etihad for a sum of USD 336.5 million for five aircraft (Rs 2071 crore) was highest and was approved by Board (October 2013)," it said. "Audit observed that the price (of USD 67.3 million per B-777-200 LR aircraft) at which the five aircraft were sold to Etihad Airways was significantly lower than the indicative market price of USD 86-92 million per aircraft obtained by the company from two parties, M/s AVITAS and M/s ASCENT before initiating the sale process," the CAG report stated. According to the CAG, after opening the financial bid, Air India obtained another valuation of the aircraft from Aviation Specialist Group (ASG) who estimated the then market value at USD 93 million to 96 million and the realisable value to be between USD 65 million to USD 72 million per aircraft. "Considering that the price offered by Etihad Airways (USD 67.3 million) was within this range of realisable value, AIL accepted the offer. However, it needs to be appreciated that the basis of acceptance was a valuation exercise carried out after opening the financial bids and that the market value of the aircraft could not be realised in the sale," according to the report. However, Air India Management in its reply to the CAG said, "After much deliberation it was decided that it was in order to sell five B-777-200 LR aircraft so that the outstanding loans on these aircraft could be repaid out of the sale proceeds of the aircraft." "By doing so, AIL was able to save not only on interest and repayment obligations but also avoided the cost of maintenance of these aircraft in the future," the management said. The Ministry of Civil Aviation also elucidated and reiterated the views of the management on the offers received on the sale of B-777-200 LR aircraft. Air India on Wednesday said it saved money by selling aircraft to Etihad Airways. The Comptroller and Auditor General had said that Air India sold its five Boeing planes to Etihad at a “significantly” lower cost than the “indicative” market price of the aircraft. The national carrier sold five Boeing 777-200LR planes to the Gulf carrier for $336.5 million ($67.3 million per plane) in 2013, against a valuation of $86-92 million per aircraft obtained from two parties, M/s AVITAS and ASCENT, the Comptroller and Auditor General had said last week. The winning bid from Etihad came in the fourth auction, which quoted the highest amount in an open auction. Venkat agreed that the valuation of the aircraft was higher than the selling price, pointing out that the lack of buyers for the aircraft in the market was the primary reason the airline couldn’t sell it at the assessed price. “There were very few of these aircraft in the market, so there was no benchmark on the price we had. We therefore had to depend on valuers. Valuers clearly told us that the aircraft won’t sell for more than 15-20 per cent lower than the valuation because there weren’t enough buyers for the aircraft. I think the money we got for the aircraft was very good as it helped both Air India and the government,” Venkat said. He also dismissed all other allegations by CAG, which claimed Air India grossly understated losses. He said the airline was in constant discussion with CAG, explaining its stand, and that it followed generally accepted accounting practices. And so it ends ! Etihad Airways is pulling five Boeing 777-200LR passenger jets from its fleet after deciding last year to drop some flights that the aircraft were used on, according to the airline and sources. 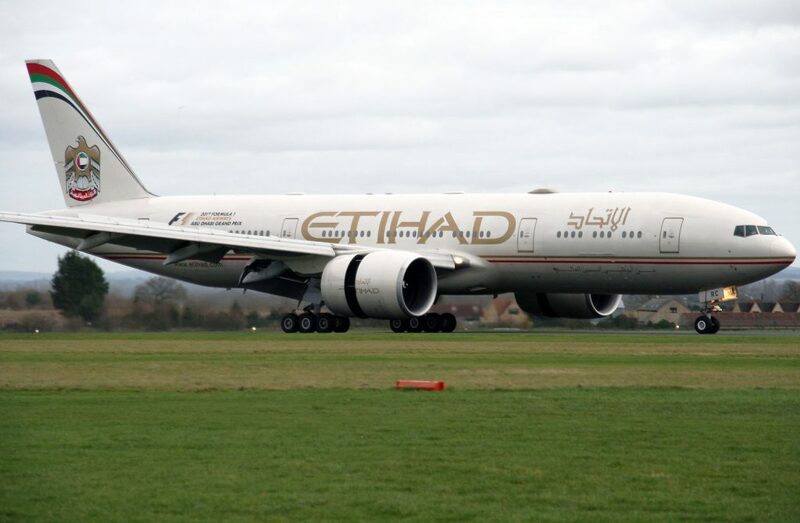 An Etihad spokesman said it was phasing out the long-range jets as part of its fleet renewal process. Five sources said the 777-200LRs were deemed surplus following a decision last year to reduce flights to the United States, and might be sold. Etihad stopped flying to San Francisco last October, and will end flights to Dallas Fort Worth next month. It continues to fly to Chicago, Los Angeles, New York, and Washington D.C. using 777-300s and A380s. AI should buy them back . EY will be too happy to gift them off for virtually nothing. They can be used to increase the frequency of the DEL-SFO flight, introduce a daily DEL-LAX, DEL-DFW and also to open up more routes in the US. They could consider ATL and BOS. They could even do some nonstops to the US from BOM, without having to route everything via DEL. With disinvestment looming around the corner, I doubt they would be interested in purchasing any more aircraft and pile on more debt. They can try to lease these birds rather than outright purchase. The former Air India 777-200LR VT-ALC "Assam" ( and A6-LRC with EY ) has finally been ferried to Kemble today to be scrapped. She was perhaps best remembered for her dramatic induction into the Air India fleet. Those are relatively young aircraft. Wasted by an airline with no fiscal responsibility, and sold to an airline with way too much hubris. I've heard that EY had a huge problem maintaining those aircraft. They were supplied in a rather bad condition with incomplete maintenance records, and were pretty much the black sheep of the EY fleet. Can't speak for maintenance records, but I flew them a few years ago. EY had completely refurbished them to its standards. No trace of AI was to be found, thank God. Middle Eastern carrier Etihad Airways is parting out two Boeing 777-200LR widebodies, which appear to be the first 777s of a current production model to be retired. UK parts specialist AJW Group has acquired one of the twinjets for disassembly. The 2007-vintage 777 (registered A6-LRC), powered by GE Aviation GE90-110B engines, arrived at Cotswold airport in the UK on 12 January, aircraft part-out specialist Air Salvage confirms to FlightGlobal. Flight Fleets Analyzer lists the jet's MSN 36302, and shows that Abu Dhabi-based Etihad has in storage a further four 777-200LRs, all built in 2007-8 and one of which (MSN 36300) has also been earmarked for teardown. Flight Fleets Analyzer indicates that the two 777-200LRs are the first among the twinjet family's in-production models – which also include the 777-300ER and 777 Freighter – to be retired. Both the jets were originally delivered to Air India and acquired by Etihad in 2014. AJW chief investment officer Ian Malin states that its acquisition of an Etihad 777-200LR is part of a strategy to position the UK company as a "go-to source for 777 material for the next decade". The company says that a total 976 777s of the 200LR, Freighter or -300ER models were in service in September 2018. The former Air India 777-200LR VT-ALB "Arunachal Pradesh" ( and A6-LRB with EY ) has been ferried to Kemble today to be scrapped. Ridiculous that a 11 year old 777LR is parted out. This airline should not have anything larger than a 788. I won't be surprised if they complain about the A320 being a gas guzzler tomorrow.